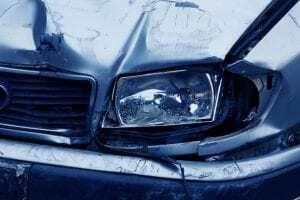 Vernon, NY (October 13, 2018) – Police say that one person was hospitalized following a serious vehicle accident when a driver collided with a home on Friday afternoon, October 12 around 4:30 p.m. The Oneida County Sheriff’s Department came to the scene of the accident at Route 5 near Youngs Road in Vernon where they immediately found that an Impala collided with a home at 4902 Route 5. There were minor damages to the building. The driver was identified as 66-year-old Stephen Jackson of Canastota. Police say that he was taken to the hospital in serious condition. Police say that the accident might have taken place due to a medical emergency. Many departments assisted with the accident. We wish to extend our condolences to any party who has been injured in a serious accident and is enduring serious times due to an accident. Many of these accidents end in serious injuries and even death to the parties involved. This is why it is important to retain your rights through the help of an experienced New York personal injury attorney who is there to stand by your side during your darkest moments. Accidents involving vehicles sometimes happen due to driver error and also aspects we can’t control such as the conditions of the roadways, medical emergencies, weather, and many other factors. No matter what the cause of your accident, you do not have to be alone during this difficult time. If you are looking for help you deserve in your time of need, do not hesitate to contact us at Hach & Rose to find out how we can assist you. Call us for more information at 212-779-0057 to find out what we can do for you.